ThemeWarrior was founded on July 4th 2008 by Yogi -a freelance web designer from Jakarta, Indonesia. At that time we provides professional WordPress and Joomla templates for free licensed under Creative Commons. On July 18th, 2010 we decided to gives you a better themes and support by providing commercial WordPress themes. You just can’t express how he loves web design so much. He started his web design adventures since he was still in high school, that’s was around 1999. 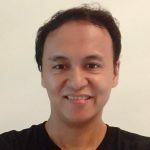 He started his freelance web design business in 2008 and decided that he want to push his passion on WordPress even more by founding ThemeWarrior. If you need custom WordPress work done, you can contact us or hire me on UpWork.